As reported by Jedi News, British actor Alfie Curtis has died. 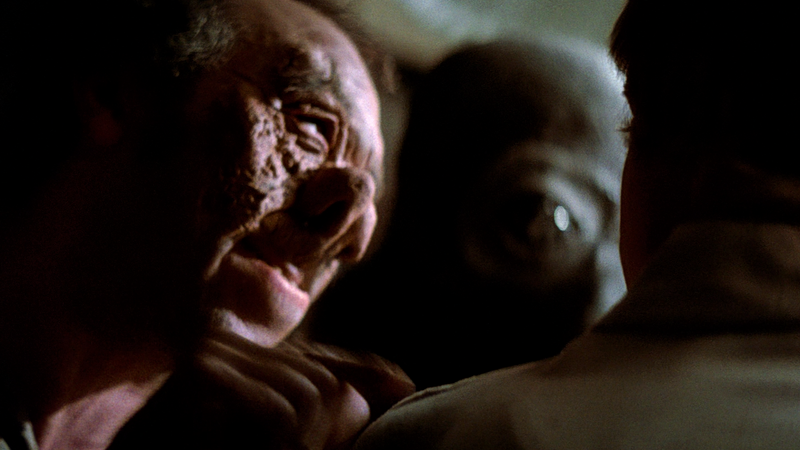 Though he appeared in over a dozen TV shows and movies, including David Lynch’s The Elephant Man, Curtis is easily best known for an uncredited role as Dr. Cornelius Evazan in Star Wars: Episode IV—A New Hope. In the original film, Dr. Evazan was the man at the Mos Eisley Cantina with “walrus face” thug Ponda Baba who had a very memorable exchange with Luke Skywalker about how Ponda Baba doesn’t like him and Evazan doesn’t like him either—”We’re wanted men. I have the death sentence on 12 systems!”—that ended with Obi-Wan Kenobi cutting off Ponda Baba’s arm. The two characters also made a cameo appearance in Rogue One: A Star Wars Story, though Curtis didn’t play Dr. Evazan that time. Curtis’ last credited acting role was on an episode of Colin Firth’s 1986 miniseries Lost Empires.